This report provides a high-level regulatory overview of the legal issues of importance for a combined enhanced oil recovery (EOR) and carbon capture and storage (CCS) project in Denmark. 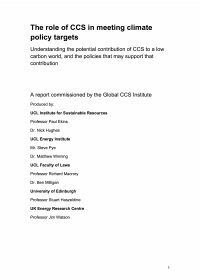 The aim of the report is to assess the CCS and ETS regulation applicable to a combined EOR and CCS project. Including to review applicable regulation in Denmark, EU regulations and international conventions and agreements to which Denmark is a party. The report assesses applicable regulation with respect to the individual steps in the project cycle, including capture of the CO2, transportation by pipeline or ship, injection and storage, and the transfer of responsibility of the CO2 storage site to the Danish State. 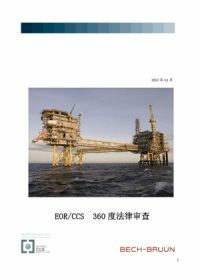 본 보고서는 덴마크에서의 석유 회수 증진(Enhanced Oil Recovery: EOR)과 탄소 포집 및 저장(Carbon Capture and Storage: CCS) 연계 프로젝트에 있어서 주요 법적 문제에 대한 심도 높은 검토안을 제시한다. 본 보고서의 목표는 EOR-CCS 연계 프로젝트에 적용될 수 있는 CCS 및 ETS 규제 법률 을 평가하고, 유럽연합 법규와 덴마크가 당사자인 국제 협약이나 조약 등을 포함, 덴마크 내에서 적용될 수 있는 여타 규정들을 검토하는 것이다. 평가자들은 CO2 포집, 파이프라인 또는 선박을 통해 포집한 CO2의 수송, CO2 주입 및 저장과 덴마크 관할로의 CO2 저장 부지 권한 이전 등 프로젝트 각 단계에 대한 적용 법안을 심사하였다.